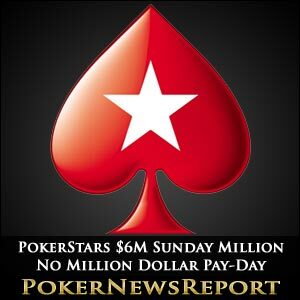 There was to be no “million dollar winner” headline for PokerStars to release to the world after this weekend´s 6th Anniversary $6 Million Guaranteed Sunday Million, as an eight-way split was agreed between the players on the final table and the winner – “slyfox151” – banking “only” $480,761 for his victory. Despite talking himself out of a million dollar pay-day, it is doubtful that anyone will be happier with the result than slyfox151 himself. 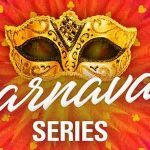 Having started the final table as the short-stack, the Dutchman was soon all-in with his pocket sevens and called by Orange6´s pair of Aces. A seven on the flop got slyfox151 back into contention, and within a few hands he had eliminated Orange6 with a pair of nines over Q4. His timing could not have been better, as when the next break started, the game was paused to discuss a split. 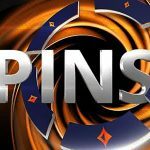 The chip leader entering the final table – blodders03 – had previously been against splitting the prize pot, but had subsequently been leaking chips like a sieve. Consequently, it was Finland´s “toode” who got the lion´s share of the cash, although slyfox151 was happy to be guaranteed $360.000 compared to the position he had been in an hour earlier. “toode” was eventually to finish seventh – his 9♣ 9♦ running into HesBluffingx´s K♠ K♣ – and then his pair of sixes failing to hold against blodders03´s K♠ Q♦, but slyfox151´s good timing continued. He first despatched Sasha2908 with tripped nines and, after Paars_Wit and Jalex-79 had busted in a double elimination, slyfox took out HesBluffingx when his pocket 6´s held on against HesBluffingx´s J♥ 10♥. Into the heads up, slyfox (235,000,000 chips) held a 2.3/1 chip advantage over the UK poker player, but blodders03 ground away and nearly eroded the deficit. The turning point in the game came with the blinds at 2M/4M (ante 400,000) when slyfox called an audacious river bluff on a board showing 8♦ 7♦ 5♦ / 8♠ / 4♥ to collect the pot of 72.8 million chips with 10♠ 7♠. Soon after it was all over when blodders03 shoved with A♣ Q♠ but failed to catch, and slyfox´s 4♥ 4♦ held on to win the game, the title of Sunday Millionaire Anniversary winner and a prize of $480,761. 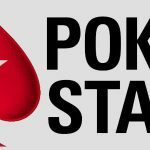 The 6th Anniversary $6 Million Guaranteed Sunday Million proved to be another huge success for PokerStars, as 33,732 players either paid the $215.00 buy-in or qualified through a series of satellite events to participate in the game. 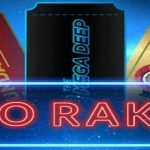 The size of the entry smashed PokerStars´ $6 million guarantee and produced a total prize pool of $6,746,400 of which 4,392 players each one a share. Although the biggest share did not go to the winner, congratulations to slyfox151 for taking down this prestigious event.